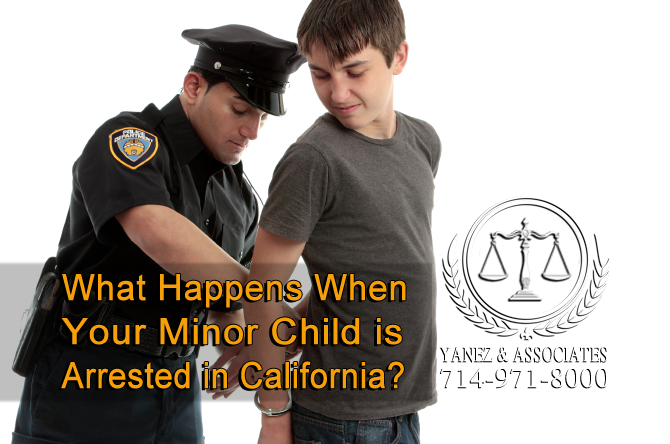 Juvenile Law FAQ: What Happens When Your Minor Child is Arrested in Orange County, California? One area of family law that is not discussed as commonly as things like divorce or adoption is related to children - the area of juvenile law. Juvenile law is an area of law that overlaps criminal law and family law, and it deals with minors, or people who are under 18 in most cases, who break the law. There are many differences between the law in general and juvenile law, including how the crime is handled, what the punishment can be, and in some cases, determining whether juvenile law or the general law will handle a specific case. Because the law is so different regarding juveniles than it is adults, it is always important to work with a lawyer when it comes to juvenile defense in California. Usually, it is best to start by ensuring that your minor child will be held to juvenile laws rather than to the standard adult laws, so make sure to contact an attorney as soon as you can, before things move forward. So, What is Juvenile Delinquency? I need help understanding Juvenile Delinquency? If you or your child are involved in a juvenile delinquency case in California, you will be dealing with California’s juvenile law system. This just means that a minor child has been accused of breaking the law. Based on the crime the child is accused of, the seriousness of the crime, and the accused child’s criminal history, the court will make decisions regarding how to handle the accusation, and what the child can do pending trial. Minors accused of juvenile delinquency may have the following options, based on the specifics of the crime and the child’s history. • The accused minor may be tried as an adult, in which case he or she may be sent to the Department of Corrections and Rehabilitation but to the Division of Adult Operations. Working with a skilled attorney can have an affect on the decision at this point, especially when it comes to deciding whether to try the minor as an adult or as a juvenile. 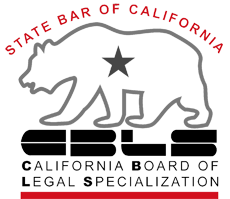 California law, especially family law, when related to children, is focused on the idea that decisions should be made based on the best interests of the child. However, when crimes occur, the factors surrounding the crime will also be taken into consideration - and your attorney can play a big role in directing focus around those two points. What Happens When Your Minor Child is Arrested? What Happens to my child When Arrested in California? Depending on the arresting officer, your child’s age and actions at the time of arrest, and the crime that was committed, the police have several options at the time of the arrest. • One option is to make a record of the arrest, and either send the child home or take your child home. • Another option is to send the child to a government agency, where the child can stay for care, counseling, and basic needs. • An officer can choose to take the minor child back to the police station. • The officer may choose to give the minor child and his or her parent or guardian something called a Notice to Appear. You are both obligated to follow the directions of this order. • Lastly, the officer can place the minor child in juvenile detention. If a child is placed in juvenile detention, he or she will be able to make two phone calls within an hour of placement: the first to a parent, guardian, relative, or employer, and the second to an attorney. When a child is arrested, his or her parent or guardian has rights too. As soon as a child is arrested, the police are required to let a parent or guardian know that the child has been arrested and where the child is. If an arrest record is made and the child is sent home, there may not be any further action required on your part. If you are not sure, you should contact an attorney with any paperwork that was given to you to ensure that you don’t need to take further action. If the minor child is taken to an agency or to the police station, it might mean that the police want to talk to the child about what happened. If this is the case, the child has the right to hear his or her rights. These are the same rights that you probably hear on television during crime shows when an officer reads a person his or her Miranda Rights during or following an arrest, prior to questioning. • The minor child has the right to remain silent. This means that a minor child does not have to say anything. • Anything that the arrested child says can be used against him or her in court. This means that if the minor child chooses to say something, he or she should know that what is said may be repeated during a court case. • Every person has the right to hire an attorney, and if the minor child (or his or her parent or guardian) cannot afford an attorney, the court can appoint one for him or her. This means that no matter what, your child can ask for a lawyer, and that lawyer can be a person of the child’s choosing, or the court can find a lawyer. These are the same rights read to adults during an arrest. If you are the parent or guardian of a minor child who has been arrested, you can find your child an attorney, or you can ask for one to be appointed to the case. A Notice to Appear is a document that allows the arresting officer to make an arrest, charge a person with a crime, and not bring the person into custody immediately following arrest. Usually, this is a lot better than being taken into custody, especially for a minor. A Notice to Appear will come with directions, so make sure that you read the Notice thoroughly. In most cases, a Notice to Appear will require you and your minor child to appear in your local probation department so that you can meet with a probation officer. There are four ways that your meeting can go. First, the probation officer may simply talk to you and your minor child about what happened. After the lecture, he or she can send you home with a warning. Second, California allows arrested minor children to attend a voluntary program in lieu of going to court. Programs may vary depending on the child, the crime, the arresting officer, etc., but the child might have to attend special classes or counseling, perform community service, or do something else. Programs can last as long as six months, and you might have to sign a contract on behalf of your child. Once the child has completed the program, then he or she will not have to attend court. Third, a minor child might be sent home while the probation officer sends the case to the district attorney. If this is the case, it is up to the district attorney to decide whether to file papers with the court, and whether the minor child will appear in court or not. Lastly, the probation officer can keep the child locked up while sending the case to the district attorney. In this case, the district attorney usually files a petition with the juvenile delinquency court within two days, following which the child will attend a detention hearing on the next day the court is open. 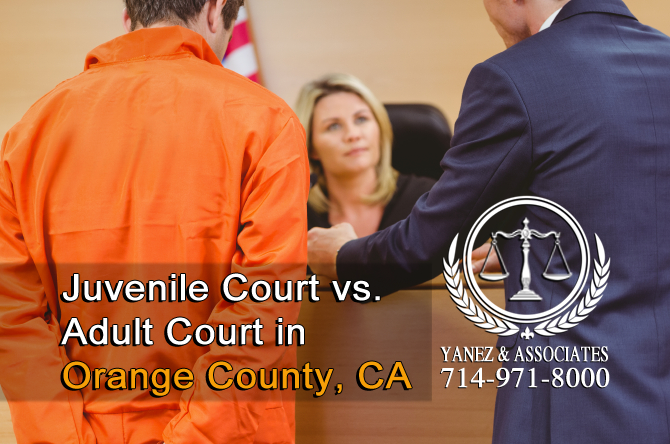 Will my child end up in a Juvenile Court or an Adult Court in Orange County California? One of the biggest parts of any juvenile arrest is deciding whether the case will be tried in juvenile court or adult court. For juveniles, it is almost always better to go to juvenile court because the consequences are not as harsh. However, minors can be tried as adults, especially if they have a history of crime or violent crime, or if the minor is at least 14 years old and has been accused of a serious crime. If you have a minor child that is in need of a legal defense contact our Orange County Juvenile defense Lawyers for a free consultation. Juvenile law is a confusing area of law, especially because a minor child still has so much life left and so much potential. The laws for juvenile court and adult court are different, and it is important to work with an attorney who has experience with both juvenile law and families. 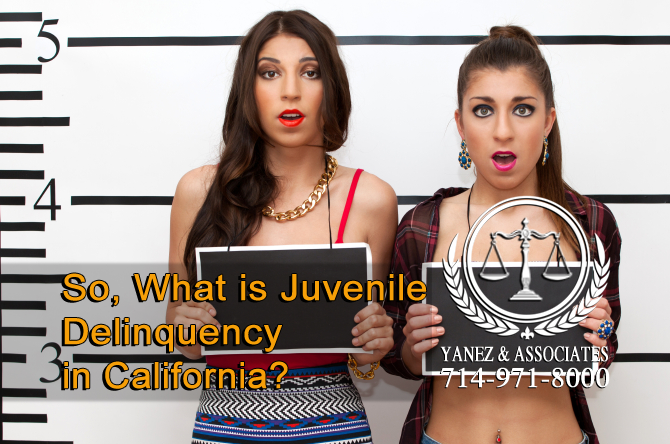 Contact Yanez & Associates today to schedule your free initial consultation with a qualified juvenile lawyer. 2 So, What is Juvenile Delinquency? 3 What Happens When Your Minor Child is Arrested? Irvine juvenile crime defense attorneys, Juvenile Court vs. Adult Court, juvenile defense, Orange County Juvenile Crimes Attorney, Orange County Juvenile defense Attorney, Orange County Juvenile Dependency Attorneys, Orange County Juvenile Law Lawyers, Orange County Juvenile Lawyers, The Juvenile Court System in Orange County California, What Happens When Your Minor Child is Arrested?, What is Juvenile Delinquency?